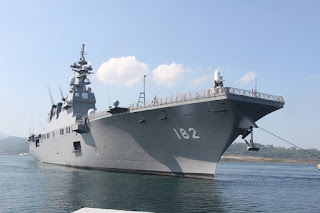 SUBIC BAY, -- Japanese Ship (JS) Ise (DDH 182) of the Japan Maritime Self-Defense Force (JMSDF), along with four helicopters on board, docked at Alava Pier, Subic Bay Freeport Zone, Olongapo City on Tuesday April 26 for a goodwill visit to the Philippines that will conclude on the 29th. 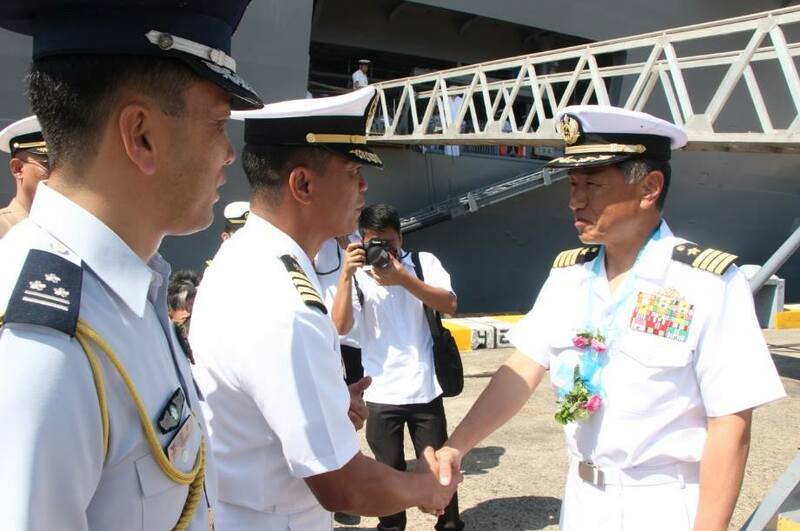 DDH 182 Commanding Officer, Capt. 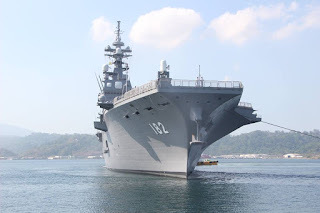 Masaki Takada, held a press briefing at the port upon arrival, presenting DDH 182 as a vessel than can carry 11 helicopters and is equipped with the surface to air missile, antisubmarine rocket and torpedo system. 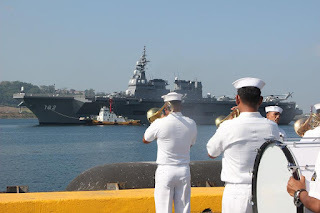 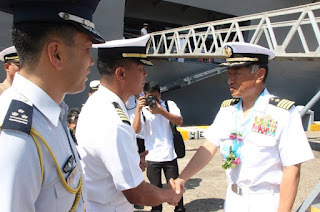 He also noted that it is the second time that JS Ise made a port call to the Philippines, the first one was during the conduct of international disaster relief activity following the onslaught of Typhoon Yolanda in 2013. He added that this visit is also intended for the crew’s rest and replenishment of the vessel. The Japanese warship JS Ise (DDH 182) of the Japan Maritime Self-Defense Force (JMSDF) docks at the Alava Pier in Subic Bay.